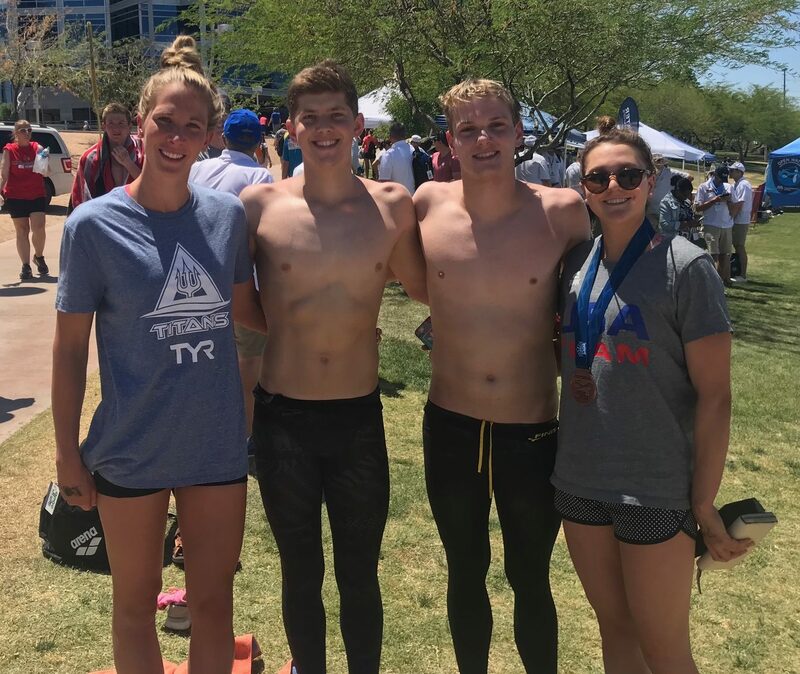 Four athletes representing NC Swimming clubs competed in the USA Swimming Open Water National Championships 10K in Tempe, Arizona. Ashley Twichell of the TAC Titans won the women’s race, while Hannah Moore of Wolfpack Elite finished in sixth place. In the men’s 10K, 18U swimmers Ross Dant of the Hickory Foundation YMCA and Thomas Bretzmann of the North Carolina Aquatic Club finished in 22nd and 25th place. The Open Water Competition continues over the weekend with the Junior National Championships and the 5K races.